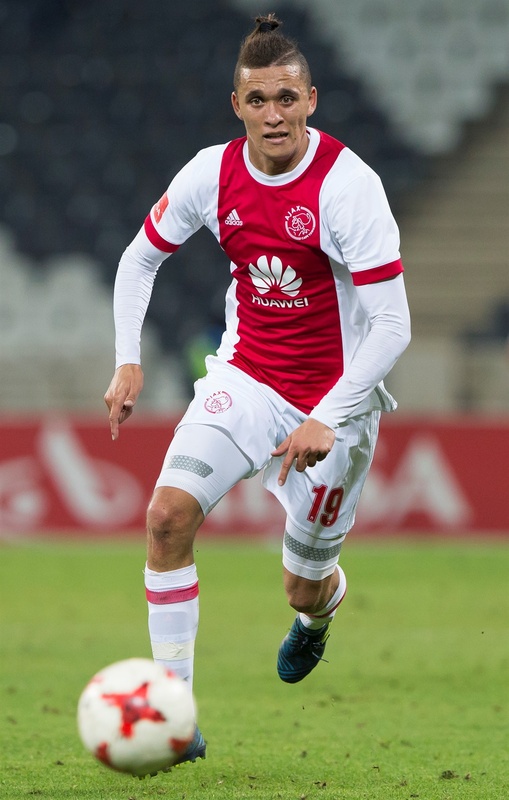 AJAX Cape Town striker Sedwyn George believes they have what it takes to replace National First Division (NFD) leaders Stellenbosch FC at the top of the log. The Urban Warriors are breathing down the Stellies’ necks as they gun for automatic promotion to the Premier Soccer League (PSL). The Cape Town based team are looking to pile the pressure on the leaders as the title race begins to heat up with 11 games to go. However, The Urban Warriors were left licking their wounds when their impressive six game unbeaten run was ended by Steve Barker’s men a few weeks ago. They were able to put the result behind them last week when they got back to winning ways with a slender 1-0 win over Maccabi FC. George believes they cannot afford another slip up between now and the end of the season if they are to dislodge the high flying Stellies from top spot. Ajax will be hoping for another positive result when they host Tshakhuma Tsha Madzivhandila today at Atlone Stadium (3.30pm). Andries Ulderink's men will be looking to climb back to second on the standings after yetserday's results saw Royal Eagles and Mbombela United climb above them. “The whole squad believes that we can catch them (Stellenbosch),” said George. “The lead is not very big, we just have to try and win every game from now on in order to give ourselves the best chance. “We are making a good comeback, we know the title race will get harder going forward but we will keep fighting and grinding out results. George has not been having the best of seasons on a personal note, however, the 27-year-old believes it is not too late to turn his season around. The 2016/17 NFD top goal scorer has only featured nine times this season and is yet to find the back of the net. “I have given my all every time I have stepped onto the field,” he added. “I’m working very hard to improve with every game, but what is more important is the team’s performance.